Online Furniture Sales March on. Are You Part of the Parade? Whether brick-and-mortar retailers like it or not, e-commerce is serious business in furniture these days. And it will only get bigger. While still less than 10 percent of total home furnishings sales, the growth of online purchases continues to outstrip more traditional channels as consumers grow more confident in buying via the Net; and as vendors and retailers adapt to serving a consumer goods category that’s quite a bit trickier to deliver than books or apparel. Pure-play Internet retailers such as Wayfair and Hayneedle come to mind when talking furniture and e-commerce, but Manoj Nigam , president and CEO of Charlotte, N.C.-based online marketing specialist MicroD, believes brick-and-mortar retailers need to embrace the channel, at least to some extent. MicroD went live with several furniture stores on its new ePiphany Commerce platform during August, starting with Walter E. Smithe in Chicago. The program integrates with MicroD’s ePiphany platform and its Exim electronic data interchange server. A full-fledged launch is set for October High Point Market. “We think every retailer needs to be ready for e-commerce,” Nigam said. “There’s a fallacy: If I’m selling locally, I don’t need to be in e-commerce. Let’s say I came into your store and saw a product I’m interested in. I go home and do research on line, decide I want it, and then I find I can’t buy it online from you. If I see that Wayfair or another online dealer sells it, I’m not going to worry about returning to your store. Selling furniture online is still in its “infancy,” according to Carl Prindle, president and CEO of Furniture.com, and the online furniture site’s Blueport Commerce platform. He said it’s one of the last major consumer categories to go online in a meaningful way. Furniture.com will relaunch this fall with new ownership investment from retailers Schottenstein Stores (owner of American Signature and Value <st1:placetype w:st="on">City); and Rooms to Go. The venture will rely heavily on fulfillment by local “anchors,” which as of press time include RC Willey, Leon’s and Sleepy’s, along with those retailers with an ownership stake. “Furniture today reminds me a lot of shoes online, pre-Zappos,” Prindle said. “For years, no one thought anyone would buy shoes online. Then, Zappos delivered a customer experience that wowed consumers. The rest is history. Prindle believes that to date, the online furniture shopping experience hasn’t met that standard. He added that this is good news for traditional furniture retailers, not because furniture sales won’t keep growing online, but because they know how to provide the service and ‘wow’ factor. While furniture e-commerce certainly faces unique logistical challenges, some of those pure-play companies might take issue with the above, and can point to big strides in terms of the shopping experience and service during and after the sale. Boston-based Wayfair, for example, which is tracking 50 percent-plus growth this year on the way to a projected $1 billion in sales, makes a huge investment in providing detailed product information and inspiring ideas as part of its creation of a rich online shopping experience. “We’re doing a few things particularly appealing to customers,” said CEO Niraj Shah. “First, we continue to offer the right product with the biggest selection, competitive pricing, better images and information. He noted that there’s room for online customers to have better tools to visualize product in their space, things like 3-D imaging tools. Sara Shikhman, president of BedroomFurnitureDiscounts.com, said her company used to get a lot of customers calling to say they were a bit wary about making big-ticket purchases on the Internet. “Now consumers are becoming more comfortable with doing a lot of their own research online and are quickly able to find reviews, prices, and offers from several different merchants,” she said. “We are based in New York and have great partnerships with the top white-glove delivery companies around the country, but I would like to see the furniture home delivery industry expand their efforts to service all areas of the country well. To get there, more vendors need to use electronic data interchange and ship orders quickly. For years, brick-and-mortar retailers said consumers won’t buy “real” furniture, that is bedrooms, sofas, dining rooms, etc., on line, but companies such as Wayfair and BedroomFurnitureDiscounts.com—not to mention more and more retailers with a foot in both brick-and-mortar and online channels—keep proving them wrong. That said, some keys to online business remain remarkably similar to those in the store. Interestingly, Wayfair is finding some synergy with brick-and-mortar stores through its Get It Near Me program, which continues to grow. The program lets a brick-and-mortar retailer advertise on Wayfair’s site next to the product and brands of their choice want. There are currently 170 active advertisers in the Get It Near Me program, up 70 percent from 100 at this time year ago. Those include American Furniture Warehouse, Jerome’s, Leader’s Furniture and Nebraska Furniture Warehouse. Five or more advertisers are in each of the top 25 <st1:country-region w:st="on">U.S. 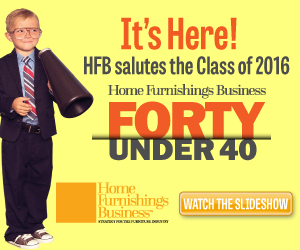 metro areas; and 17 of the Top 100 furniture retailers, up from 4 a year ago. Shikhman said that BedroomFurnitureDiscounts.com keeps looking for ways to make its buying experience more customer-focused, with quicker, more reliable service. In the past 12 months, for example, the company added an entire section for children’s furniture. “It was very exciting, and the site has been getting a lot of attention,” Shikhman said. “I think it works so well because it adds a nice, whimsical touch to the experience, and allows children to shop with their parents for the bedroom of their dreams. BedroomFurnitureDiscounts.com also have implemented a Q&A section to give customers an opportunity to ask other customers questions about products. Some things, though, storefront or online, never change. An Online Furniture Retailing Pioneer Gets a Makeover. This summer, one of online furniture retailing’s original names, Furniture.com, announced it would re-launch in the fall. In addition to a new ownership stake taken by furniture retailers Schottenstein Stores and Rooms to Go, the revamped site is developing a network of regional retail heavyweights to handle order fulfillment nationwide. Carl Prindle, CEO of Furniture.com and e-commerce platform Blueport Commerce, shared some thoughts about the relaunch. 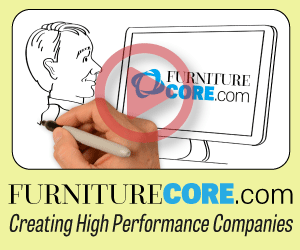 Furniture.com originally began back in the 1990s, when online retailing was just getting started. The logistical and service issues associated with a bulky product, plus the fact that the whole concept of buying furniture online was brand new, had the company losing money. Under the new version, the site looks to rely on brick-and-mortar retailers’ traditional strengths in customer service to avoid those issues. So what’s going to be different about the consumer experience on Furniture.com? On the product side, Furniture.com will offer a selection of participating retailers’ best merchandise, as well items they may not carry in the stores. “Across rooms, styles and price points, we’ll offer a broad but curated selection of products, all delivered with same level of care and expertise,” Prindle said. Finally, we have some new technologies around matching consumers to the right pieces and visualizing them in their home that will complete our offering over the next year or so. Some mighty big names in furniture retailing have an ownership stake in the business now, and Prindle said he’s flattered by their commitment to the model. Furniture.com opted to partner with those retailers rather than financial or technology companies since they could provide the ability to deliver goods. Any changes to the Blueport platform that were made to accommodate the retail alliance, both for those with ownership and the anchors? “Our business has always been about enabling furniture retailers online, whether by helping them with their own e-commerce sites on our platform, or driving incremental sales on Furniture.com,” Prindle said. “Over the past decade, most everything we do has been geared to what we’re doing now for the retailers in our alliance. Let’s say a shopper visits a Value City store, works with a salesperson and puts aside merchandise. The patent-pending system “reflects the fact that in furniture, showrooms and salespeople play a real role in the sales process,” he said. “Instead of imagining we can circumvent either, we’ve enabled this shopping process, and seen phenomenal results.